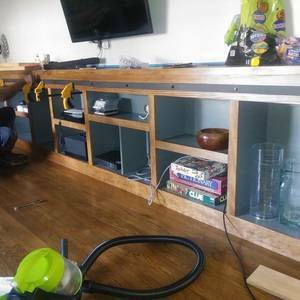 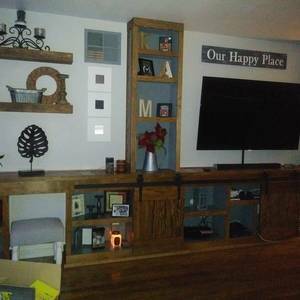 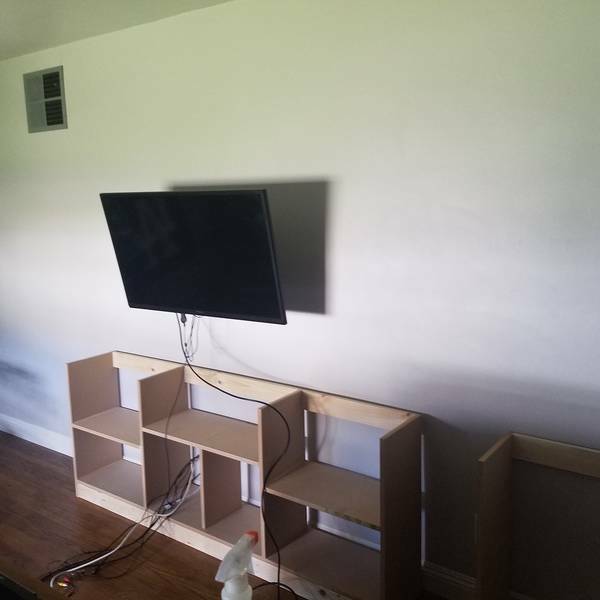 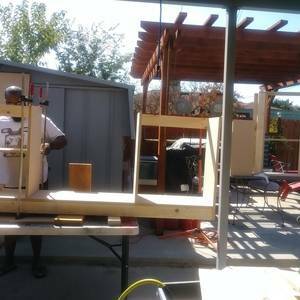 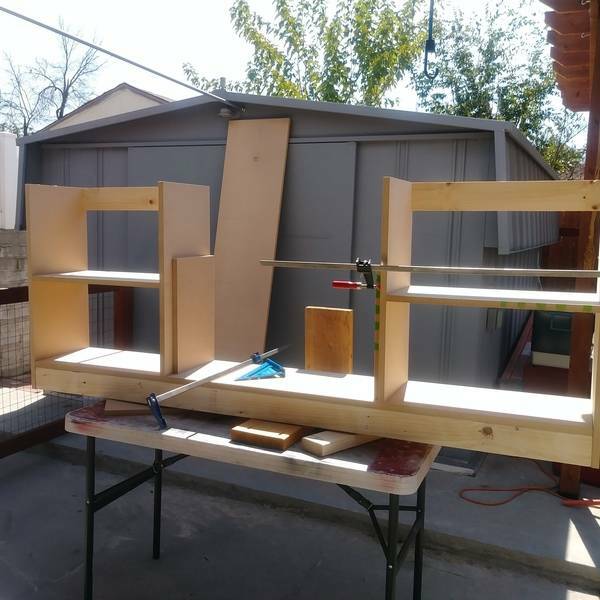 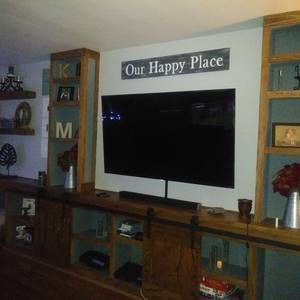 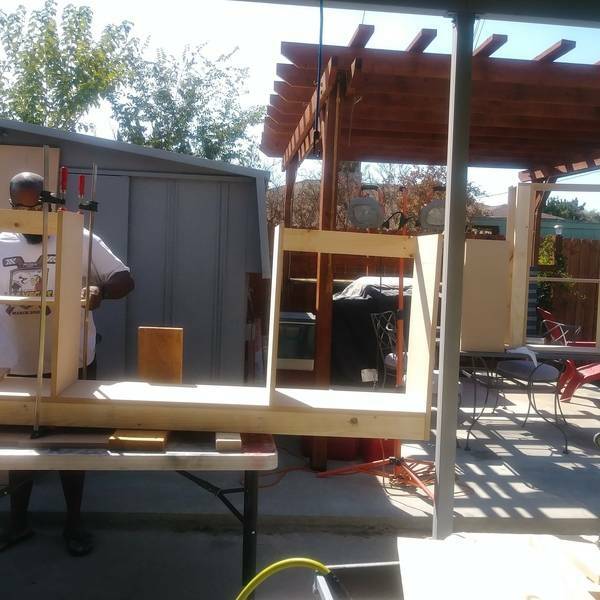 We wanted to add a wall unit to our plain wall in the living room and my husband and I started on our little project! 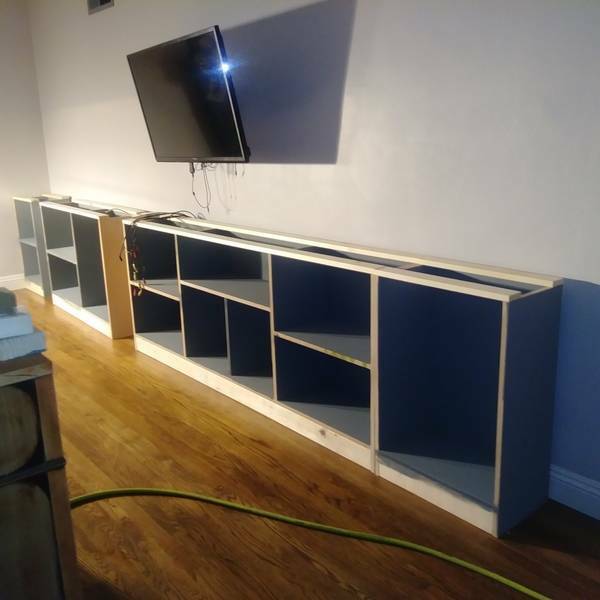 Measures roughly 16' L x 8' H. Cabinets are made of mdf board then painted. Nailed Douglas fur to trim each cabinet after sanding and staining each piece. We added a few shelves to the wall on the far left to tie everything together and make that space useful! Nicely done! These unit really transforms your space and adds a lot more storage and shelving!